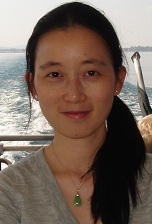 Daisy Zhe Wang is an Associate Professor in the CISE department at the University of Florida, and directs the Data Science Research lab. 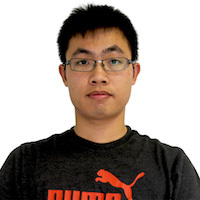 Dihong is a PhD candidate at University of Florida, advised by Dr Wang. Stephanie Bohlman is an Assistant Professor in the Forest Resources and Conservation department at the University of Florida, and directs the Bohlman lab. Sarah J Graves currently is a PhD Candidate at the School of Forest Resources and Conservation, University of Florida, and currently works at University of Wisconsin Madison. She is advised by Dr Bohlman. Ethn White is an Associate Professor, Dept. Wildlife Ecology & Conservation, University of Florida. He is a cofounder of the WEecology lab, and is interested in data-intensive questions in ecology, using large ecological datasets, advanced statistical/machine learning methods, and theoretical modeling to understand ecological patterns. Sergio Marconi is currently a PhD student in Interdisciplinary Ecology at University of Florida. He is interesting in predicting functional patterns of vegetation, and is advised by Dr White.